The Department of English offers a wide range of courses in English, American, and Anglophone literature as well as in creative writing, expository writing, and film analysis. Literature courses focus variously on close reading of texts, study of particular authors and genres, questions of critical theory and method, and the relationship of literary works to their historical contexts and to other disciplines. Writing courses typically employ the workshop method in which students develop their skills by responding to criticism of their work by their classmates as well as by their instructors. Many students supplement their formal course work in English by attending public lectures and readings sponsored by the department or by writing for campus literary magazines. The department seeks not only to foster critical analysis and lucid writing but also to teach students to think about the nature of language and to be alert to both the rigors and the pleasures of reading texts of diverse inspiration. As part of the university-wide First-Year Writing Seminars program administered by the John S. Knight Institute for Writing in the Disciplines, the department offers many one-semester courses dealing with various forms of writing (e.g., narrative, autobiographical, and expository), with the study of specific areas in English and American literature, and with the relation of literature to culture. Students may apply any of these courses to their first-year writing seminar requirement. Detailed course descriptions may be found in the first-year writing seminars program listings, available from college registrars in August for the fall semester and in November for the spring semester. Freshmen interested in majoring in English are encouraged to take at least one of the department’s seminars listed under ENGL 1270 - FWS: Writing About Literature . These courses are open, as space permits, to first-semester freshmen with scores of 700 or above on the CEEB College Placements Tests in English composition or literature, or 5 on the CEEB Advanced Placement Examination in English, as well as to students who have completed another first-year writing seminar. Few students know from the moment they decide to pursue a major in English exactly what they wish to study. Moreover, it is natural for interests to change over the course of time. The effort of creating or discovering a coherent pattern in the courses selected is itself a valuable part of a literary (as well as liberal) education, and English majors are expected to discuss their overall program of study when seeking their advisors’ approval of courses each semester. While the department leaves a great deal to the discretion of its individual majors and their academic advisors, it expects them to choose courses with an eye to breadth and variety on the one hand and focus and coherence on the other. Students with a special interest in developing their skills as writers of verse or prose will find a variety of workshop courses in expository and creative writing. As a rule a student may not enroll in more than one such course in any given semester, although exceptions are sometimes allowed where one of these is ENGL 2880 or ENGL 2890 . A number of English majors do part of their course work at a foreign institution, usually during their junior year; some spend a single semester away from campus, others an entire year. The Office of Global Learning has information on a variety of programs at universities around the world. Many English majors study abroad in the United Kingdom and other English-speaking countries, but some choose other locations. 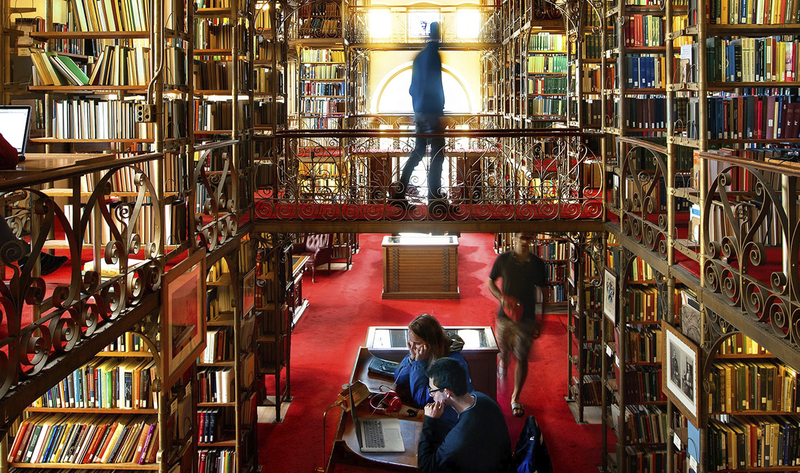 As long as students continue to meet all college and department requirements or can complete them upon returning to Cornell, the English major can easily accommodate study abroad. Students planning to study abroad in their junior year who wish to complete the Honors program should make arrangements with the Director of Honors in English before leaving campus. Credit for literature courses taken abroad can in most instances be applied to the 40-hour minimum for the English major and to requirements like the concentration and pre-1800 requirements. Approval of requests to apply credit for study abroad to the English major is granted by the DUS rather than the academic advisor, however, and students must confer with the Director of Undergraduate Study (DUS) in advance of going abroad as well as on their return. The first conference includes a review of catalogue descriptions of courses the student expects to take while abroad (along with a few alternatives), the second a presentation of papers, exams, transcripts or equivalent documentation of successful completion of the work proposed. No more than 8 credits per semester of non-Cornell credit may be applied to the English major. This restriction applies to study abroad even when that study is conducted under Cornell auspices. Second-semester sophomores who have done superior work in English and related subjects are encouraged to seek admission to the departmental program leading to the degree of Bachelor of Arts with Honors in English. Following a meeting with the Director of Honors, qualified students will be admitted provisionally to the program. During their junior year these students complete at least one Honors Seminar (ENGL 4910 in the fall or ENGL 4920 in the spring) and are encouraged to take an additional 4000-level English course in the area of their thesis topic. On the basis of the work in these and other English courses, provisional Honors candidates must select a thesis topic and secure a thesis advisor by the end of the junior year. A student who has been accepted by a thesis advisor and whose brief thesis proposal has been signed by the Director of Honors becomes a candidate for Honors rather than a provisional candidate. During the senior year, each candidate for honors in English enrolls in a yearlong tutorial (ENGL 4930 –ENGL 4940 ) with the faculty member he or she has chosen as a thesis advisor. The year’s work culminates in the submission of a substantial critical essay to be judged by at least two members of the faculty. More information about the Honors Program may be found at http://english.cornell.edu/undergraduate#honors-program. The English department offers three minors, open to any student at Cornell with any major (except English). Students may declare their intention to minor at any time and declare completion of their chosen minor at any time up to week 7 of their final semester. Each minor requires students to pass five courses with a grade of C or higher (no S/U). No first-year writing seminar may count, and at most four credits in all from transfer, study abroad, or independent study, or (where relevant) from another Cornell department may count. Students should seek an advisor from any Cornell English Department faculty or work with the English minors advisor, Stuart Davis (sad4@cornell.edu). More information about the English minors may be found at http://english.cornell.edu/undergraduate#minors. any English course in literature or cultural studies, 2000-level or higher, including ENGL 4850 - Reading for Writers ; or an alternative course approved by the Director of Creative Writing, including Screenwriting. Students wishing to minor in English must complete five courses. Students may distribute their courses as they wish among offerings in literature, creative writing, and critical writing/creative nonfiction on the 2000-, 3000-, and 4000-levels. Students wishing to minor in Minority, Indigenous, and Third World Studies (MITWS) must complete five courses from a list of departmentally designated offerings in such areas as African American, Asian American, Latino/a, and Anglophone African, Asian, and Caribbean literature. One of these five courses must focus on Indigenous subject matter, defined as American Indian (including all the Americas), Alaska Native, Native Hawaiian and Pacific Islander, Maori, and Australian Aboriginal. Because the purpose of this minor is to foster comparative thinking across its categories, students are encouraged to choose courses that engage with several ethnic and/or national literatures. Where possible these courses should be in the English Department.